It’s nearly the end of another month, of a year that seems to flying by. This is a little post about things I’ve really enjoyed this autumn time. Yes, I have included avocado, but could I really do a post without sounding like a complete white girl? It just didn’t seem right. If any of these tickle your fancy, give this post a read! I had wanted one for ages, but it took me a while to find the right one and wanted one that didn’t make me look like a massive puff ball. As soon as I saw this coat in H&M and it was definitely what I had been looking for. I tried it on and it the perfect fit, and the last one in my size. That to me was just fate!!! So me and me bought it, when I probably shouldn’t have but for £35 it was a bargain. I have worn it pretty much every day since I purchased it. It’s perfect as you can’t feel even a slight breeze in it which is a big thing for me now the colder days are soon coming. Another piece of clothing that I have been making the most of is my mustard coloured cropped jumper from Missy Empire. Which has some good quality clothes for a good price. You don’t feel like you are spending a bomb, which is a bonus. I am a sucker for a nice knitted jumper, as I think they can be casual but, can also be dressed up when needed. I like to think that mustard is a colour that suits me, also I have seen a lot of people wearing mustard this Autumn, as personally I think it complements the season quite well. 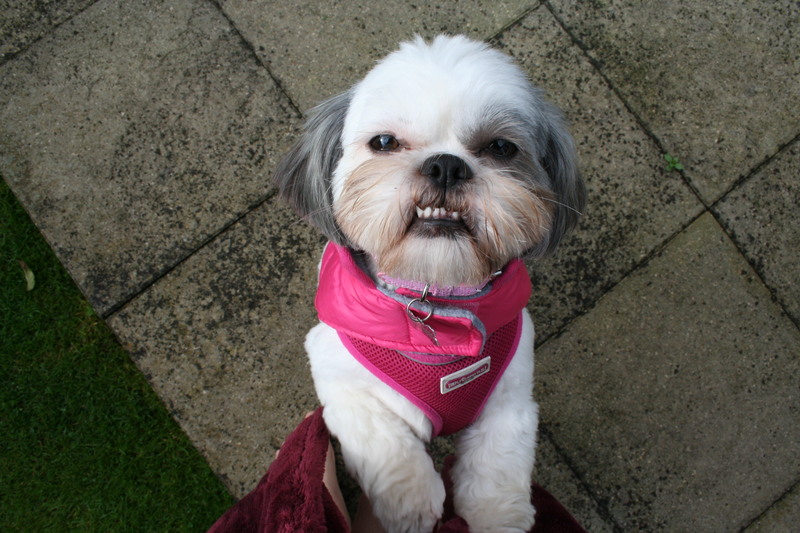 The jumper also has baggy arms which makes it extra spacious for them lounging around days. Missy Empire isn’t an online store that I shop with often, however I was just having a browse and thought these were a good online steal at just £16. However, an online order would not be complete without getting the jumper in the other colour. So I may or may have not bought the Magenta one too. I’ve put a link below in case you wanted to have a little browse, although I will warn you a browse can soon turn into being £100 lighter. 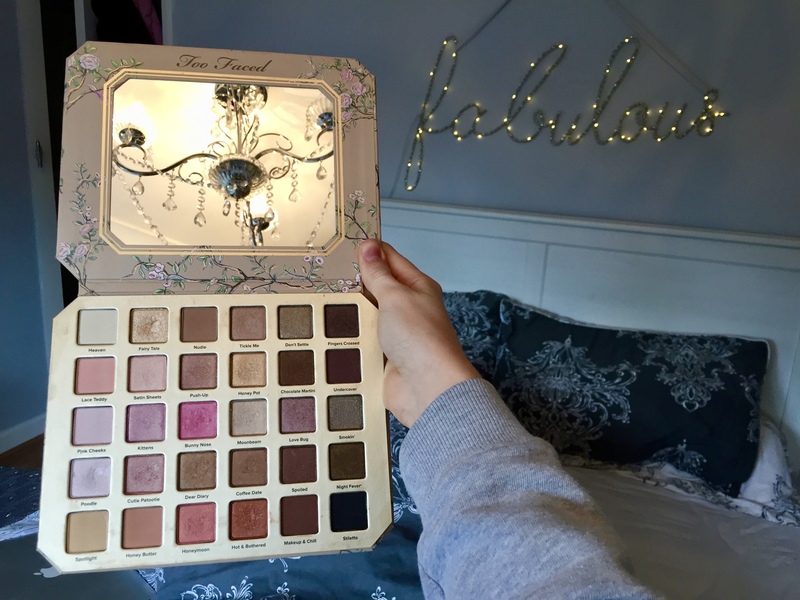 I have always loved too faced as a brand and I was lucky enough to be bought the natural love palette by my cousin Charlotte. It has matte, glitter and natural colours. It has great colours for if you need a quick and easy neutral eye, as all the colours complement each other nicely. The packaging is beautiful and I think it needs to be considering the price of it at £60. I have used this a lot over Autumn, and still all the colours look like they are untouched. Which is a sign of a good eye shadow palette. This palette is amazing and is definitely worth £24. I love all the colours in this palette and can create looks that are appropriate for day time and night time. I use the dark pink one the most as I think it look nice as a daytime look. The palette is very pigmented and you don’t need a lot on the brush to get a good definition on your eye and a colour that stays. Although I use the NYX waterproof eyeshadow primer so it stays for a longer period. Everyone girl needs an Autumn lipstick! 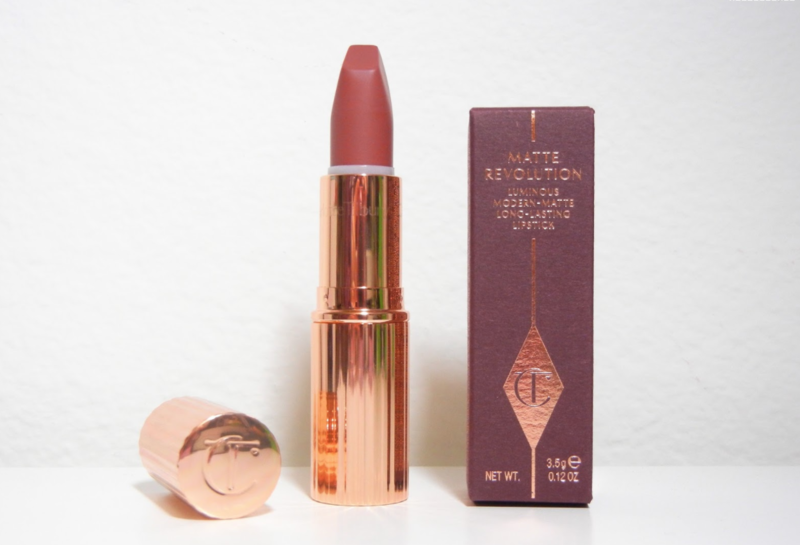 The Charlotte Tilbury lipsticks are so pretty especially the packaging. Bond Girl is a matte lipstick it’s a dark burgundy red, it is easy to wear and lasts a good amount of time. It is a good lipstick for the day or the evening and compliments a range of outfits. It is £24 which is quite expensive for a lipstick but it is a high end product that is worth the buy if you fancy treating yourself! I have recently started my membership at the Pure Gym that has just opening where I live to get back into my fitness. I used to be really good at motivating myself, but got slightly lapse over the summer period and was focusing on enjoying myself, However, I know I needed to get back into it to make sure I didn’t turn into an absolute blob over Christmas. The new gym is really good and very spacious, also being in a new environment it motivates me to go there as I enjoy it a lot. My target is to go 4 times a week and so far it’s going rather well. Fingers crossed! Time for everyone’s favourite section! 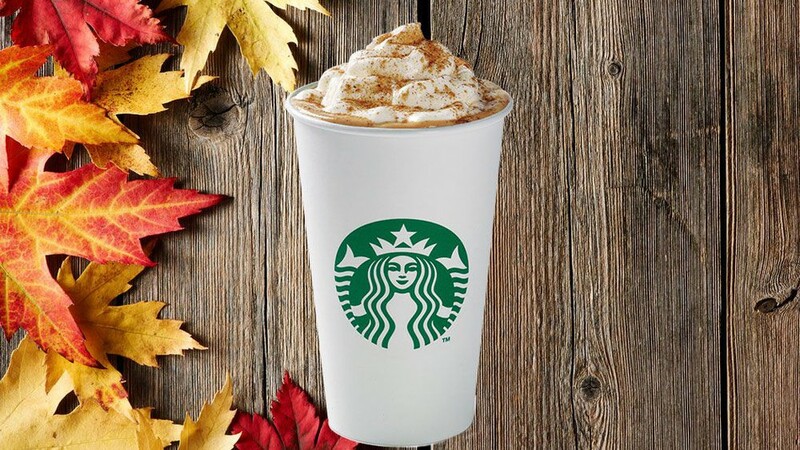 I have to start with Starbucks who brought out their Autumn flavoured coffees, just to make our lives that little bit more spicy. The two that they released were Pumpkin Spice Latte and a Salted Caramel Pecan Latte, ready to give us those Halloween vibes. Out of the two the Pumpkin Spice Latte is my favourite (hot and cold), although it seems odd to have Pumpkin in a coffee it works so well. So props to whoever came up behind Starbucks genius. Needing something quick and easy to make this is the perfect little get together. This has definitely been a go too of mine recently! 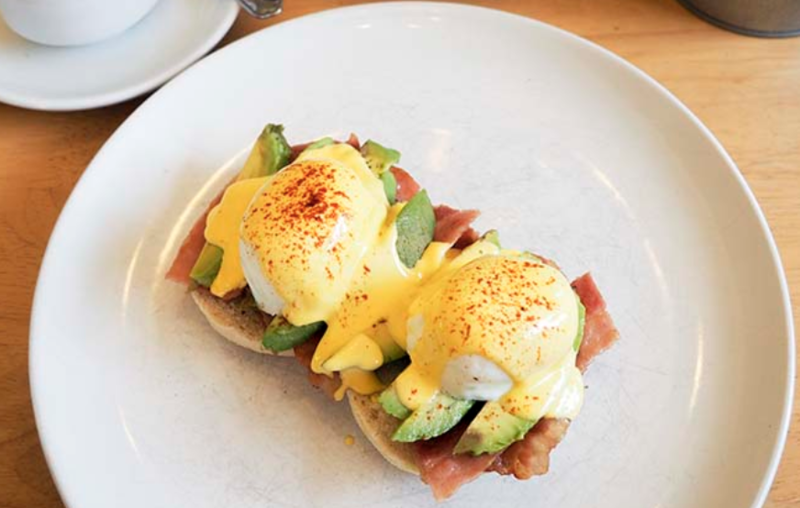 I am a strong lover of Avocado, and bacon is hard to resist in anyone’s books. I think this is all a perfect combination, it works as a nice Breakfast or Brunch but in my case mostly Brunch. I hope you like a few of these favourites, let me know which ones you think you would like and if you would have any things that you have particularly loved this month.